During today’s Unity GDC 2019 keynote, the company officially announced to be working closely with NVIDIA in order to offer RTX based real-time ray tracing through its Unity engine. ‘Production focused early access’ is available as of today, while a more optimized solution will be deployed to Unity customers in the second half of the year. As part of our commitment to best-in-class visual fidelity graphics, we rolled out the preview of the High Definition Render Pipeline (HDRP) last year – a highly-optimized, state-of-the-art raster-based solution capable of achieving stunning graphics in real-time on consumer hardware. We built HDRP with the future in mind and today we’re excited to announce that we are working with NVIDIA to adopt its RTX real-time ray tracing capabilities so we could bring this technology to all. Real-time ray tracing moves real-time graphics significantly closer to realism, opening the gates to global rendering effects never before possible in the real-time domain. The demo chosen to demonstrate real-time ray tracing in Unity was created with the collaboration of the BMW Group. 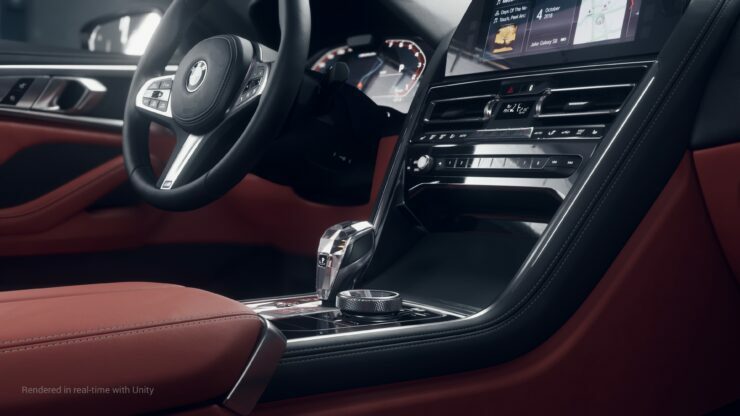 It showcases the 2019 BMW 8 Series Coupe, both in its real-life version and in the ray traced, virtually rendered version. If you’re a regular Wccftech reader, we already let you know this was coming thanks to NVIDIA’s own CEO Hsun-Huang, who let this slip during the latest quarterly investors call. Still, it’s good to get it confirmed once and for all, and we can’t wait to see which Unity game will be the first to support ray tracing.